It is amazing what happens when you read; over the weekend, I grabbed one of the property books that I had on the shelf and started reading. 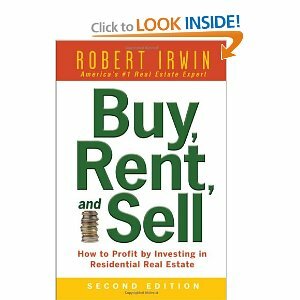 The book "Buy, Rent and Sell: How to Profit by Investing in Residential Real Estate,"2ed is by Robert Irwin, one of America's foremost expert. Although I only read one chapter (as I had read it before), I got some really good ideas on how to convert your equity in your rental properties into cash, and so I thought I would share that with you. If you have played Monopoly before you would know that the object of the game is to buy as many properties as you can, and build a fortune. The trick of course is how to acquire one property, and parlay that first one into the second, and third and so on. 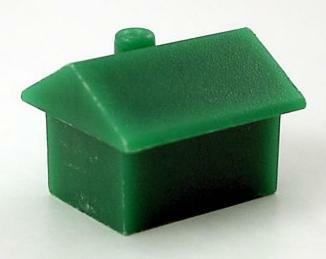 Lenders would be quite happy to loan you money if the property you are buying is owner occupied. For that, they will give you at least 90% of the property value. But if its a rental property, and if you already have a few, the bank may get a little bit jittery. They would often offer a lower MOF of say 70-80% or they may vary the property valuation amount. After you have managed to financed your rental properties, and over time your equity in them will start to build. Further, these properties may experience some capital appreciation, and then you will be faced with a problem. A good problem, nonetheless as your wealth starts to grow. The difficulty you may experience at this stage is "how do I convert some of this paper equity into cash?" i.e. how to cash out? 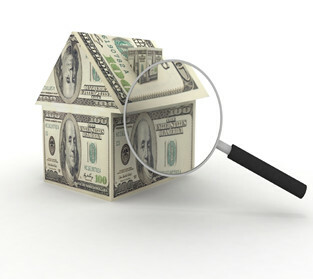 The straightforward answer of course is to refinance your existing property. And often banks don't mind if you want to refinance the existing property loan with a new one. But as soon as you want to to pull some money out, in excess of your original financing, that is when you want to cash out - that's when the problem arises. For example if the property has a value of RM150,000 and you still owe RM90,000 - that's an equity value of RM60,000. That's a nice amount of money for you to buy your next property. But banks tend to frown on letting you cash out as they perceive this as weakening their position in the property; and that you would not be as "committed" to it if there was adverse changes in your circumstances like if you lose your job. Of course, what you plan to do with the cashed out money has nothing to do with the Bank; but you will still face obstacles. 1) To take two mortgages. That means, keep the first and get a second mortgage for the property. Or, you can get a new first and second mortgage which has a combined MOF which is higher. Of course, be prepared to pay a higher interest rate on the second charge (for the perceived higher risk), but normally the lender is not as worried that you will pull out. 2) Instead of refinancing your rental, refinance your personal residence. We all have to live somewhere. If you are renting like me, maybe its a good idea to buy a property. The plus point is that the bank will always give you better rates and higher MOF for owner occupied. But the trick is how do you increase your property holdings through this? Refinance the personal residence, and then after a period of time, move out and convert it into a rental! Effectively, you would have got some cash out, and ended up with another rental property. But, as my wife rightly asked: what do you buy that can later be turned into a rental? Obviously, a landed property would be preferred as a residence but not as a rental as the yields tend to be dismal. And, certainly no where near my target 8% gross yield. On the other hand, if you buy a condo say like in Sri Putramas, you may be able to rent it out but only get a paltry yield of 4 or 5%, but the appreciation may be limited. So, that gave me some food for thought. If I am able to do this: buy & convert personal residence into a rental, and getting some equity out at the same time, then by doing this over and over again, I'll be acquiring many more properties in the future.